Renovating your home and struggling to decide which tile pattern to go with for your kitchen? Not sure what pattern would fit best into your bathroom design plan? Are all the choices too overwhelming to even begin making a decision? Here’s a short list of the types of tile patterns to help you make the perfect decision for your home. Straight Lay Pattern: This is a tile pattern where usually, square tiles are lined up in symmetrical rows. The pattern could have a monochrome color scheme, a checkerboard scheme, or have other patterns painted onto the tiles themselves. 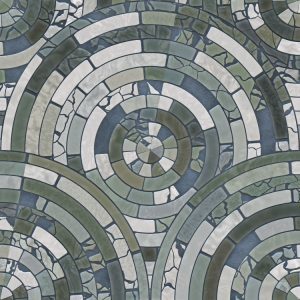 This is typically the simplest tile pattern there is, and can be done DIY or by a professional easily. Subway Pattern: A pattern gaining popularity, the subway tile pattern typically has staggered rows of interlocking rectangular tiles. This is a common pattern for kitchen backsplashes, or for bathroom walls. The colors can also be monochrome or have a color pattern worked into them, but this is also a pretty simple tile pattern to DIY or have a professional do. Herringbone Pattern: A more complex pattern is the Herringbone pattern; tiles are laid to make v-shapes with 45-degree angles. This creates a classic feel in the home, and while most people choose this pattern in white, you can definitely mix-and-match colors as you see fit. While this isn’t the easier pattern to DIY, it’s definitely possible, and hiring a professional can never hurt.